When I was a teenager growing up in the midwest I would to go to the record store and see out the most evil, sinister looking metal album covers that would surely piss off my parents. Slayer, Possessed, Megadeth, Venom, King Diamond, etc. Those were the ones that had huge parental advisory stickers on them and some of the craziest artwork you’ve ever seen, and those were the ones that my friends and I loved to listen to. 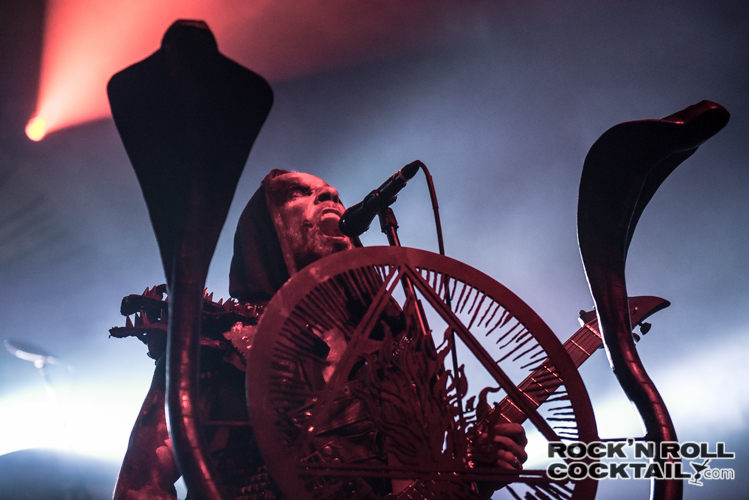 Most of that stuff was all a gimmick or for show, but the extreme metal movement of the early 90s turned gimmicks into something much more real, and Polish death metal band Behemoth were leading the charge. What in the hell do I know about Polish blackened death metal? Not much. But after seeing Behemoth I’m quickly becoming a fan. Formed in Gdansk back in 1991 somehow these guys flew under my metal radar for the past 20 plus years. They are considered to have played an important role in establishing the Polish extreme metal underground and over the years they have redefined the genre.I realize I’m a bit late to the game with this one but better late than never. It’s easy to dismiss death metal as simply heavy guitars, rapid fire drums, growling vocals and indistinguishable band logos, but there’s quite a bit of substance happening here, you just have to dig in a bit. It’s certainly not for everyone, but for those who get it are rewarded with a different way of thinking. 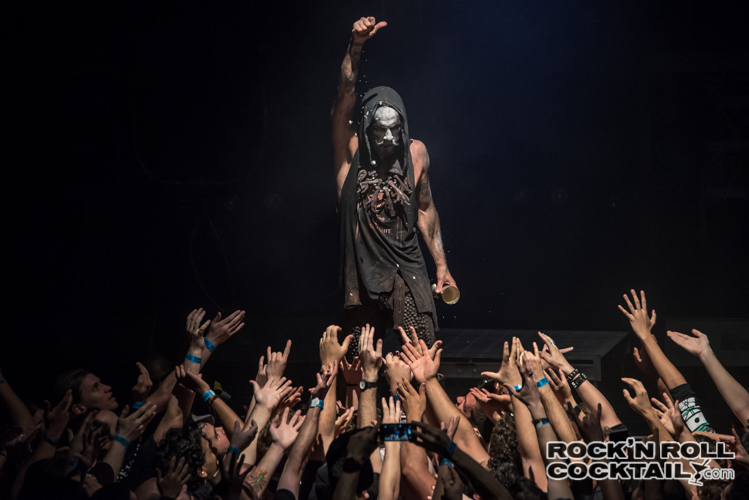 In the case of Behemoth you have Adam “Nergal” Darski leading the group. This guy isn’t just a metal singer/ guitarist, he’s completed six years of history, including one year of Latin at University of Gdańsk, and is qualified to be a museum curator. He’s been called “ferociously smart and articulate, and far warmer in person than one might infer from the bleak onslaught of his music”. He’s also quite the troublemaker. 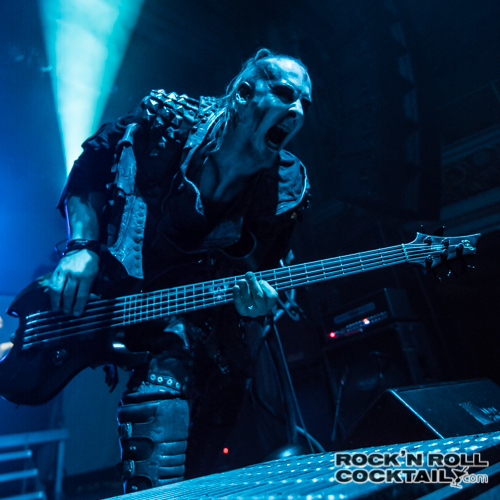 In March 2010, Nergal was held on trial in Poland on blasphemy charges for publicly denouncing religion by ripping up a Bible on stage in 2007. 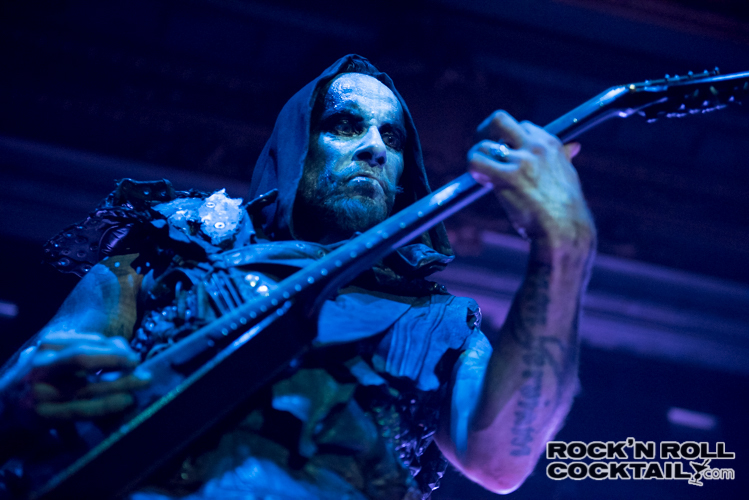 Nergal made the argument that he has artistic license to enhance his live performances by doing such an action, and suggested that it was not meant to be offensive. He also supported that freedom of speech should come before religion in Poland. He faced up to two years in prison due to the Bible-tearing,but Darski’s charges were later dropped. He’s also a cancer survivor. In August of 2010 he was delivered the crushing news that he had leukemia. Thanks to a bone marrow transplant he was able to beat cancer and return with a the critically acclaimed landmark album, The Satanist and once again tour the world. The show that night was one of the craziest things I’ve ever seen in my life. 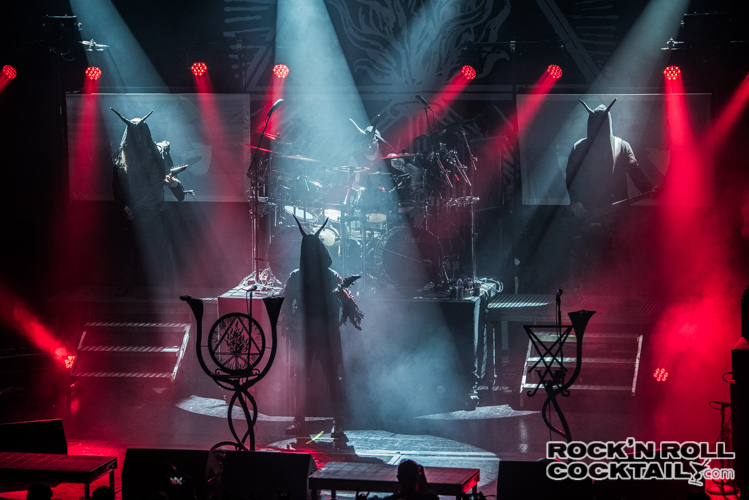 A mix of theatrics, dark imagery, shadowy characters, and quite possibly the heaviest music on earth, both literally and figuratively. Opening up the show was the blistering lead track from The Satanist, “Blow Your Trumpets Gabriel” which came across like a battle cry for every metalhead solidarity around the world. The crowd was insane as well, in a good way that is. In the middle of the ballroom there was an enormous pit going the entire show as the rest of the packed house hung on every last brutal note that resonated throughout the room. The only thing missing was for satan himself to reach up through the stage and condemn everyone to hell as the encore. On the way out I stopped by the merch booth to see what the continuous line of 50 plus people stood in at any given time that night. I think that every person in that crowd bought something as they were selling out of items pretty quickly. I picked up a copy of Nergal’s book Confessions Of A Heretic: The Sacred And The Profane: Behemoth And Beyond and I spent the weekend reading and found it very hard to put down. It’s an absolutely fascinating book and I would recommend it for anyone who thinks differently or simply wants to take a deep dive into one of the most remarkable individuals on the planet. It’s both inspiring and entertaining and many times had me questioning my own view on life, religion, and overall being a better human being. That’s not something you typically take away from a metal show, or any show for that matter.